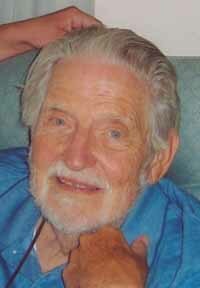 Dad passed away peacefully in Hailey in his bed on Aug. 26, 2011, during a final trip to Idaho to see his family. He was surrounded by loving friends and family. He was 87 years old. Leonard Jerome Matteson Jr. was born Aug. 12, 1924, at Woman's Hospital in New York City. During his long and happy life he led his family around the country, living in Binghampton, N.Y.; Long Island, N.Y.; Boston; Mountain Lakes, N.J.; Los Angeles; and Banning, Calif., while spending the summers on the beaches of Morehead City, N.C. He lived a full and ever-exciting life as a father of four boys, though his home was always open to other young folks and there are many people in the world who saw him as a father, mentor or a helping hand. He volunteered as a Boy Scout leader from 1961 to 1968 and led many camping trips into the Sierra Nevada and the San Gabriel mountains, instilling in his boys and all the Scouts a love of the mountains and the wildlife that has carried them through life. He graduated from Colgate University in 1943 after studying mathematics, and served in the Army Air Force from 1943 to 1946, when he was honorably discharged. He is survived by his first wife, Jane Matteson; his second wife, Jan Matteson; and three children, John Matteson of Hailey, Chad Matteson of San Diego and Hailey, and Allen Matteson of Bend, Ore.. His brother, William Matteson, lives in New York City and his sister, Anne Sisson, resides in Tulsa, Okla.. He leaves five grandchildren as well: Katie Matteson (Ketchum), Michael Matteson (Boise), Elizabeth Matteson (Napa, Calif.), and Ben and Brian Matteson (Bend, Ore.). Leonard was preceded in death in 1974 by his first son, Leonard Matteson III. We will all miss him dearly and know that he is at peace, and finally joined once again with his first son. In lieu of flowers, please send donations to Hospice of the Wood River Valley.